I blamed myself for months. As his sergeant, I should have been able to stop him. Moreover, I should have kept my promise to look after the love of his life. Wesley Johnson was the classic, stoic Marine. 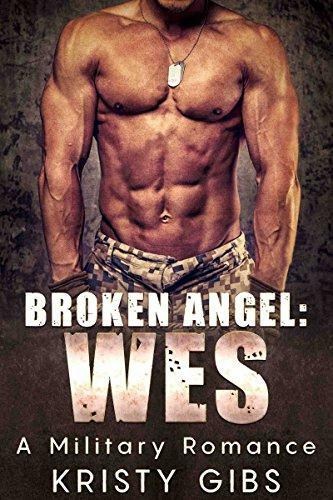 After an explosion killed one of his best friends, Matt, in Afghanistan, Wesley Johnson was left with scars from war and a promise to his friend that he would take care of his fiancé. After a grueling year recovering from his own injuries, he knew he had to make good on his promise. He never expected to fall in love with Angelina, but after meeting her, he knew he couldn't live another day without her. His guilt over falling in love with his friend's fiancé and the promise he made could prove too much for him to bear. This is Book 2 of the Broken Angel series, but can be read as a stand-alone. This book starts from the beginning of the story of Angelina and Wesley, but from Wes's point of view.